Football sticker issued by Merlin under the Premier League 95 series. Measures approximately 5.4 x 6.8cm. 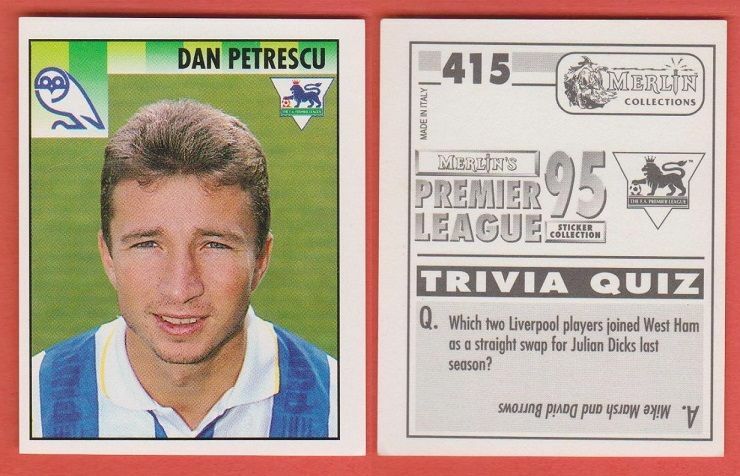 Depicting the Sheffield Wednesday and Romania star Dan Petrescu.